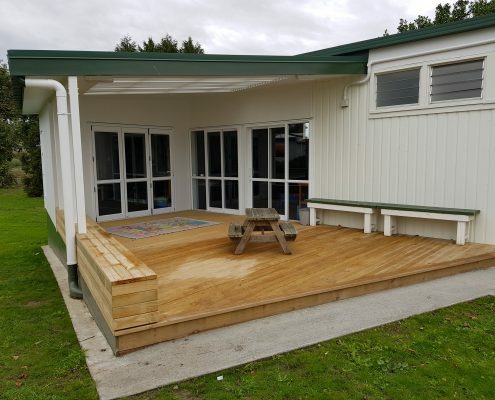 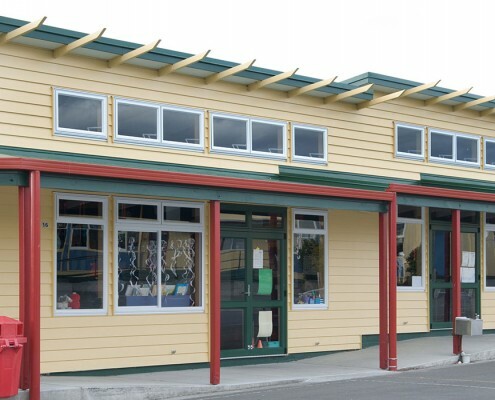 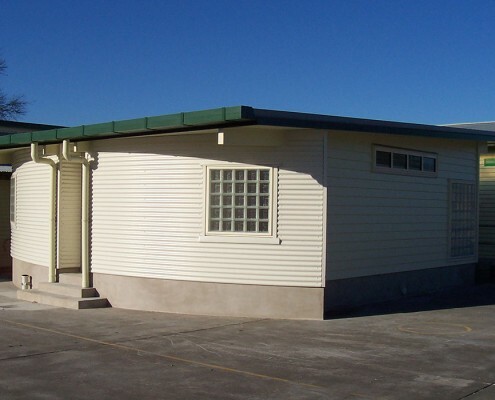 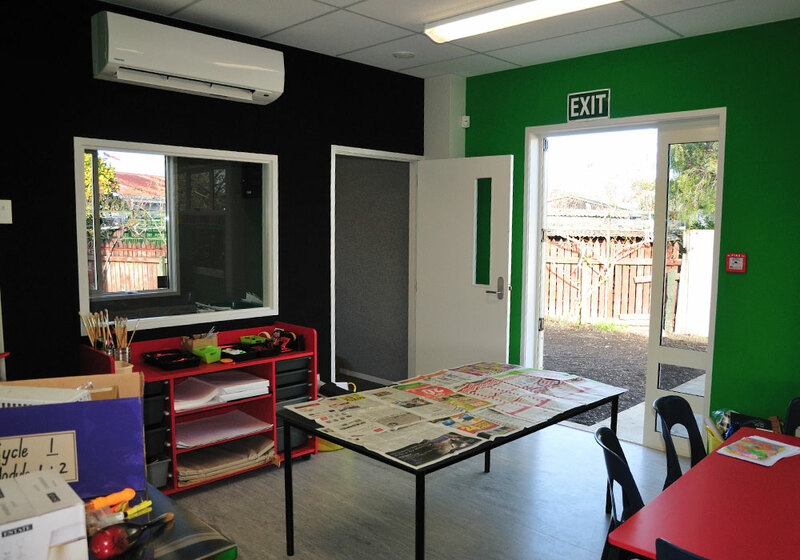 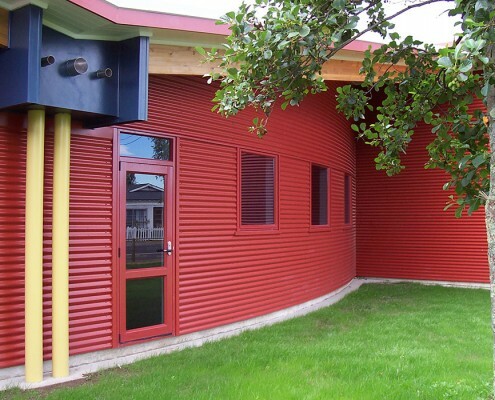 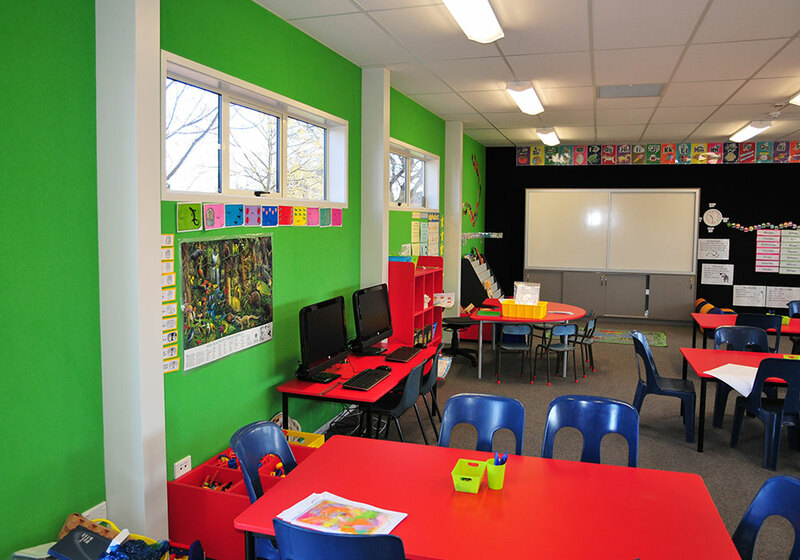 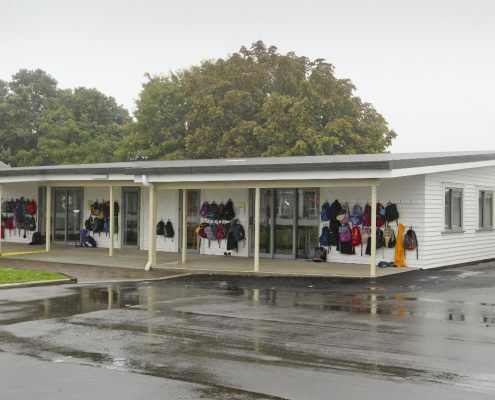 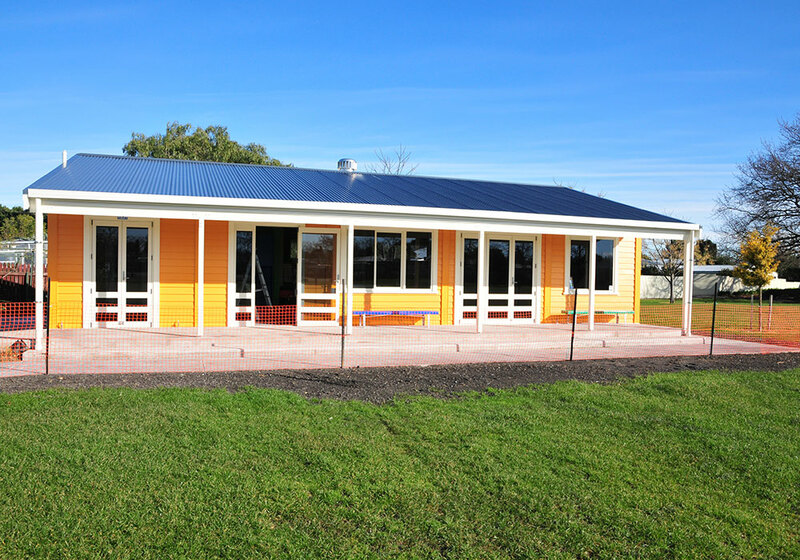 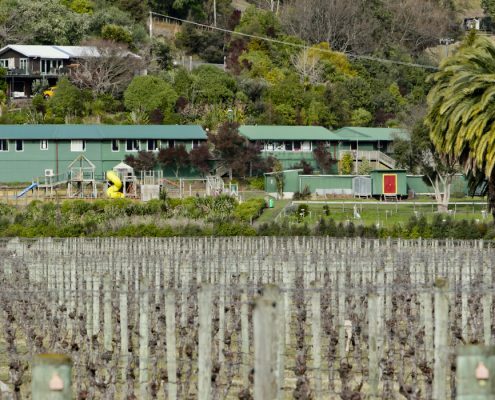 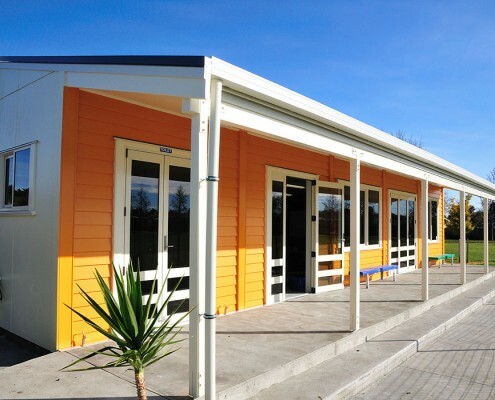 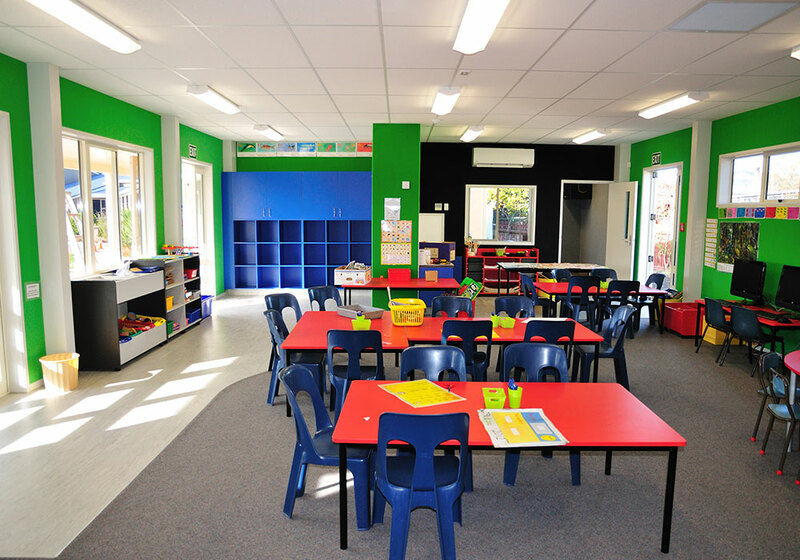 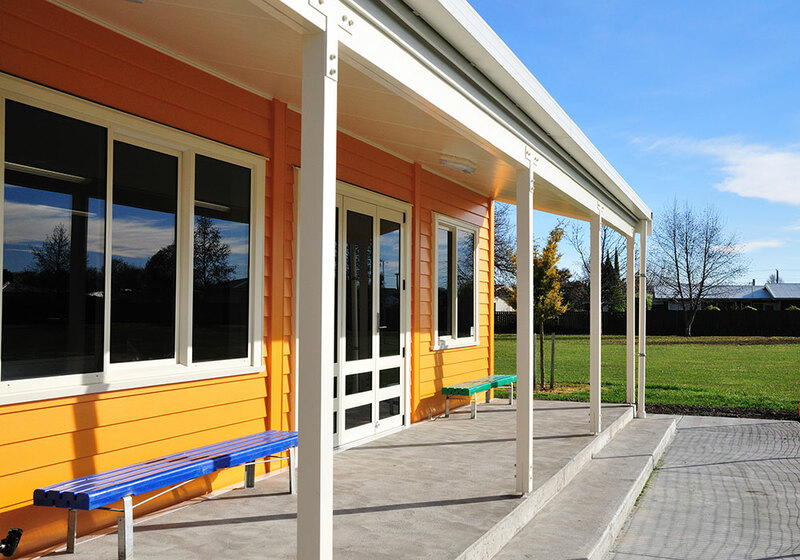 This Waipukurau Construction design and build classroom / toilet block was specifically designed to meet the requirements of the site, school and Ministry of Education. 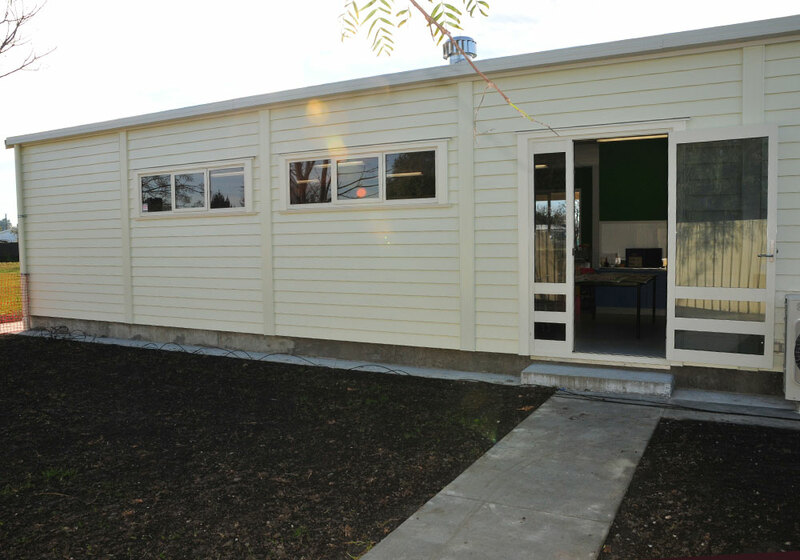 Features include light steel portal frame constuction, accessible detailing, automated ventilation and lighting. 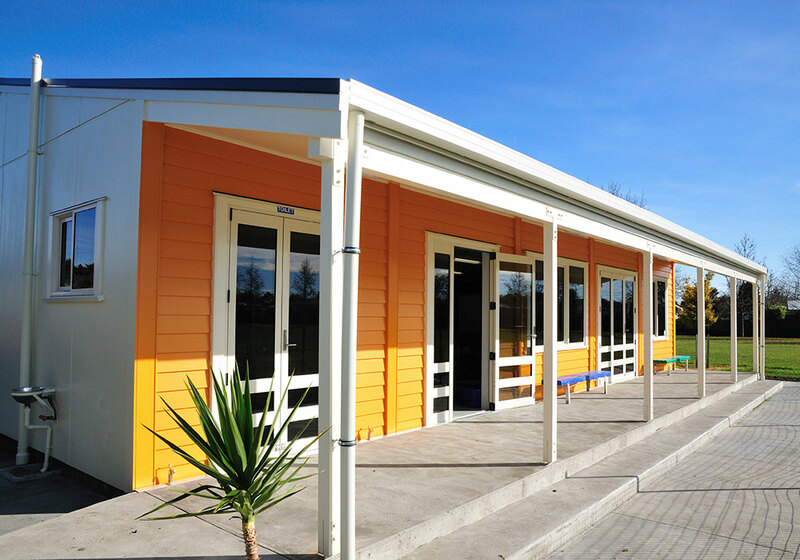 A bright colour scheme makes this a vibrant space for the new entrants using this building.